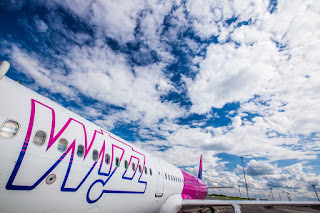 Wizz Air, the largest low-cost airline in Central and Eastern Europe announced yesterday that, following a competitive selection process, it has signed a memorandum of understanding with Airbus for the purchase of a further 146 Airbus A320neo family aircraft! 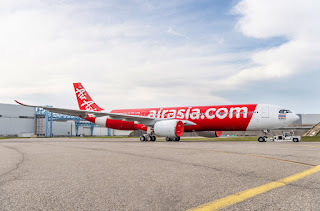 The low-cost carrier will be taking 72 A320neo and 74 A321neo with the deliveries due to start during 2022. The airline expects to receive the bulk of the aircraft between 2025 and 2026, following on from the delivery of the 110 Airbus A321neo aircraft ordered by Wizz Air in 2015. Under this new memorandum of understanding, Wizz Air has the right to substitute a number of the A320neo aircraft with the Airbus A321neo and vice versa, depending on its future requirements and fleet developments. At current list prices, these additional aircraft are worth in excess of US$17.2 billion although discounts will be granted by Airbus. 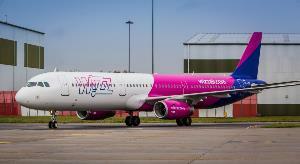 Completion of the order remains subject to approval by Wizz Air shareholders. “Once again, Airbus has delivered the best overall mix of aircraft, cost efficiency, support and price. We are convinced that the Airbus A320neo and A321neo will be game-changer aircraft for Wizz Air, as we continue to grow at an industry-leading rate and expand our market reach across and beyond Europe,” said József Váradi, Wizz Air’s chief executive officer. “The next-step technology aircraft will enable us to continue to lower our operating costs as we drive towards our goal of Wizz Air being the lowest fare and lowest unit cost airline in Europe. Wizz Air will continue to stimulate demand for air travel in CEE and beyond by offering the lowest fares to our customers, while still delivering a great customer experience on-board one of the youngest fleets in Europe”. This new order, if approved by Wizz Air’s shareholders, would bring Wizz Air’s outstanding orders with Airbus to 282 aircraft, including also 8 Airbus A320ceo and 18 Airbus A321ceo aircraft, deliveries of which will continue to early 2019, and 110 Airbus A321neo aircraft, deliveries of which are planned to start in 2019 and continue through to the end of 2024.